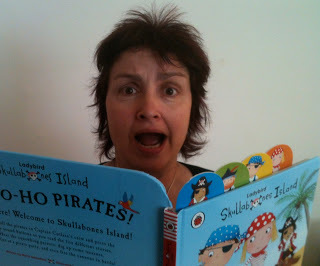 Picture Book Den: “I’ve no idea how to do this!” Do writers get the ‘yips’? “I’ve no idea how to do this!” Do writers get the ‘yips’? Is it just me who sometimes gets a mild case of ‘writer’s yips’? I don’t want to inflict it on other people, but I honestly hope I’m not the only one. To explain – I've just made up that term 'writer's yips', but it seems appropriate. The ‘yips’ is the name given to a weird condition suffered by experienced and successful sportspeople who suddenly find that their body is taken over by their mind and they cannot perform the simple basic skills they would normally do well. It was coined for a golfer in the 1920s, who, having won the US Open, went on to take a record 23 shots on one hole in his next competition. He found himself completely unable to hole a putt. Similar yips have happened to famous and not-so-famous golfers, cricketers, snooker players and darts kings. Even World Champion darts supremo Eric Bristow has admitted that, for a short time, he couldn’t let go of any dart he tried to throw! It seems that the condition is most likely to affect players taking part in sports where they have plenty of time to think before an action, giving room for a psychological wobbly. I also write non-fiction, and it's normal for me to get a brief moment at the beginning of a project when I think: “Why did I say I could do this? I have no idea how to do this!” But the feeling never lasts, and I always plunge in, experience taking over. It’s different with the picture books. I think it’s partly to do with my growing confusion about what a picture book should be. Should it rhyme or not rhyme? No, say publishers, because they want quick sales abroad. Yes, say the British public, stocking up on the rhyming stories of Julia Donaldson. Should the text follow a conventional story pattern? What if it doesn’t? What if it’s rubbish? Pressure soon swirls around every word. No wonder my brain has frozen, and no wonder I ‘can’t throw the dart’. Now I don’t want to make out that I’m the Bradley Wiggins of picture books here! Far from it. But perhaps I may be able to take inspiration from him (though not with the keyboard-chucking). I suspect that what he’ll do to overcome his nerves is to train harder – knuckle down to the nitty-gritty basics of his art. He’ll talk to his sports psychologist, too, I guess, to get his negative feelings under control. So…I must get away from that list of pressures I’ve created in my own mind, get away from all the picture book theories and the ‘should I do it this way or do it that way’ paralysis. I think I need to metaphorically get back on the bike and just pedal. Go on! Get on it and pedal! I think we've all been there, Moira! It's easy to freeze when you stop to think about 'What will sell?' 'What do publishers want?' - it can take all the fun out of the process and it makes you forget to play, just play, with your idea. Sometimes the commerciality of what we do is at odds with its very essence: creativity. Yup! Gotta try to forget all that, take a deep breath and 'do'. I recognise those yips! That's the point at which you remember that what we do is a job rather than a hobby, and we've just got to darn-well get on with it. The upside is that I sometimes find that the stories I've struggled over the most come out the best, even though it doesn't feel like that as you work on them. Good luck! So right, Jane! I did get on that bike at the weekend, and pedalled through the beautiful Wyle valley near Salisbury.I felt great, and have had a good yip-free week. It was much cheaper than Brad's sports psychologist, too, I'll bet. So I reckon you've prescribed a good yip tonic - get away from words altogether, go somewhere else for a while and do something active. How can any writer not get the yips? Hope you can see them off soon...! I agree - I reckon everyone must get them a little, sometimes. Hey yipsters, you're not alone! Smiled at the thought of writers throwing their keyboards out of hotel windows. My 'yips' take over when it's time to send a manuscript to a publisher/agent. Instead, I sit on them. Daft! Oh, forgot to say the 'yp' photos are great! Ah yes! I do that, too, sometimes, Paeony! We need to give that writer behaviour another name - the 'sits'? 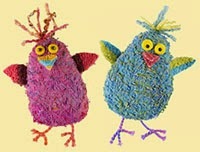 The 'yips' and the 'sits'! Should I rhyme or not rhyme? Take a break or knuckle down? Am I good or am I rubbish? Self-doubt is the mark of any half-decent creative artist - we all get them and we all come through them. Keep on keeping on, Moira. So there is actually a word for this condition. I have writer's yip! Thanks for shedding light on this. You've given me hope. I will not let this paralysis take over me. thanks, Moira. No, don't, Romelle! We all get bouts of it, as Malachy says above. I made up the term because I wanted to make writers smile and see that there are ways through. Lots of good luck with your work. I mainly get the 'yips' when I've got a tight deadline on a non-fiction feature. But the realisation that I don't get paid unless I deliver soon scares them off.